More than 200 youths were taken into custody after they held protests at Alanganallur village demanding lifting of the ban on bull taming sport Jallikattu, police said on Tuesday. Residents on Tuesday shouted slogans against police and demanded release of the youths who were taken into custody last night. Police said the youths had come to Alanganallur on Monday expecting that jallikattu would be held following an invitation through social media. Police had on Monday made a lathicharge to disperse several youths when they made an unsuccessful bid to tame bulls released on the roads by miscreants. Police said many youths tried to rush towards the "exit" point at the Jallikattu venue and the situation went out of control forcing them to resort to lathicharge to disperse them. However, some youths managed to hold a rally shouting slogans against police, central government and PETA.Many Jallikattu supporters staged a dharna near the venue. As some youths refused to disperse and continued their protest, police took them into custody last night. They have been lodged in marriage halls at Vadipatti and Alanganallur, police said. People on Tuesday took out a rally and blocked road traffic demanding their release. Madurai District Superintendent of Police Vijayendra S Bidari urged protesters to hold only peaceful agitations. He assured them that those taken into custody would be released. A strong contingent of police personnel had been deployed at Alanganallur as hundreds of youths from different parts of the state arrived at the village, which is famous for the bull taming sport, after news spread that Jallikattu would be conducted defying the Supreme Court ban. 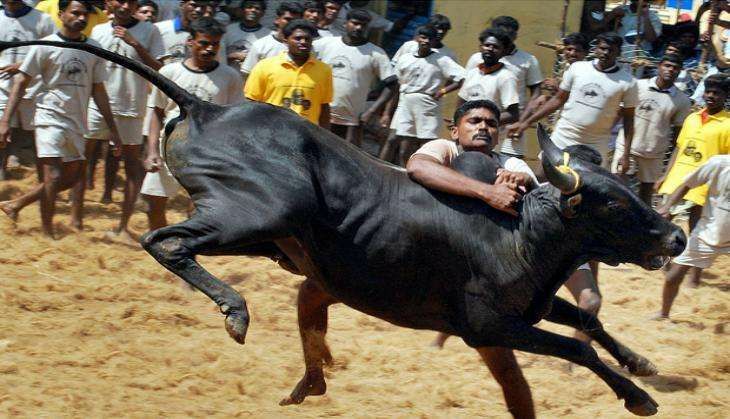 Supporters of the sport along with major political parties in the state have been demanding an ordinance for conducting Jallikattu after the Supreme Court imposed a ban on it. Police had earlier foiled attempts to conduct the bull taming sport, associated with Pongal harvest festivities, in southern districts of Tamil Nadu, detaining several people. Akshay Kumar to team up with Krish yet again after Gabbar Is Back! READ NEXT >> Akshay Kumar to team up with Krish yet again after Gabbar Is Back!